I’m a little obsessed with twitter. So is Tara. You might have noticed. We use it all the time but we also look at how other people are using it. It’s really interesting to start seeing the trends develop. One thing that we noticed was that people were using twitter a lot to point out things they think are cool and are lusting after, especially things they have just stumbled across. Things they want. This got us thinking. When someone you are friends with points out something they think is cool there’s a good chance you’ll dig it too. But this stuff existed before your friends found it, so maybe there’s a way to find this stuff earlier. We started noticing people were posting links to this stuff and decided to try to isolate those tweets. We messed around with the twitter API and after a week or two we’re psyched to launch tweetwants! It’s pretty simple and straightforward for the most part. If you post on twitter and say that you want something, with a URL immediately following the word “want” it’ll get pulled for tweetwants. It’s not 100% perfect, but it works pretty well. 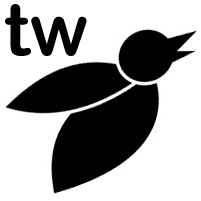 We’ve also set up @tweetwants on twitter where we’ll be posting news, as well as trends we notice. We’re doing it by hand at the moment so no promises, but so far it’s been exciting to see something new pop up and then people from all over catch on and repost it. We even have a “retweet” option on the site so if you see something you also want, you can tweet it with one click. We got that together and assumed when it launched it would be a massive hit. Legendary even. And everyone knows the best way to capitalize on a success is with a follow up while it’s still fresh on people’s minds. So obviously the best time would be at the same time. 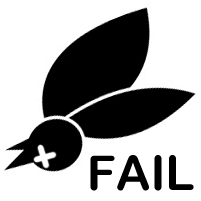 So we tweeked the images and code and birthed the step sister site – tweetfails. This site, as you might have guessed, tracks things people think are fails. Fails actually show up more often than wants, but it’s equally interesting and amusing. We think so anyway, and hope you will to. If nothing else both sites were super fun to build. We’ve got a few other ideas kicking around, but in the meantime I’d love to hear what you think of these. Pingback: insurancesitesfind » Blog Archive » sbdc» Blog Archive » New Sites! this and especially the fail site is awesome. I really like that it uses a fairly common and natural language pattern and doesn’t require the use of hashtags. The original tweets it draws from are readable and normal-looking to someone who doesn’t know anything about the project. Unobtrusive. insurancesitesfind » Blog Archive » sbdc» Blog Archive » New Sites! insurancesitesfind » Blog Archive » sbdc» Blog Archive » New Sites!